Reflex Imaging has developed a novel robot tracking sensor based on MEMS devices to achieve +/- 100 um accuracy, at a fraction of the cost of comparable units. Previously, accuracy of this order required expensive equipment to be brought on site whereas the LAMM can be installed on every robot. 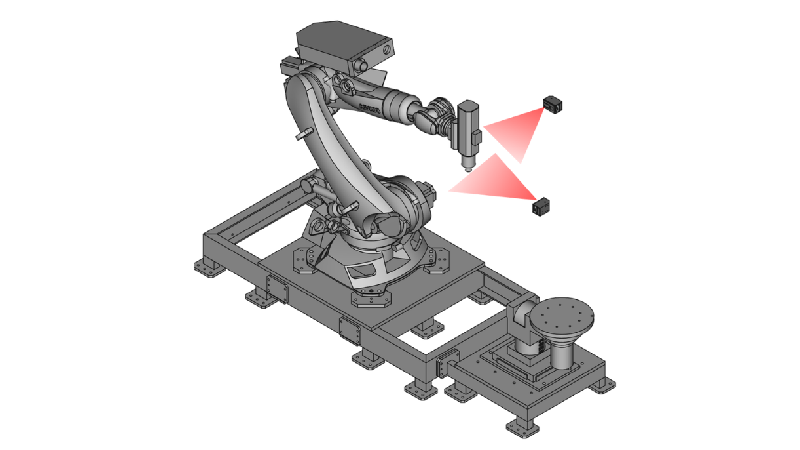 Mounted on a robot head, the Reflex Laser Measurement Module (LAMM), can precisely scan multiple measurement points. LAMM is designed to easily integrated into existing systems, with Ethernet, CAN and USB connectivity. A powerful embedded ARM processor provides common positioning functions as standard, to minimize the need for complex central controllers. The low cost and modularity of the unit enables users to implement a scaleable network of LAMM devices to provide unobstructed field of view, high read-out rates, system redundancy and higher stability. Reflex Imaging have been working with the Integrated Large Volume Metrology group at the Advanced Manufacturing Research Centre (AMRC) in Sheffield to develop applications for the device. Engineers at the University of Sheffield Advanced Manufacturing Research Centre (AMRC) have helped develop a novel laser tracking measurement device that has potential to be a disruptive technology in high value manufacturing and a key capability in factories of the future. The AMRC team believes LAMM has the power to shake up the metrology market due to the low costs of the sensor it uses compared with more conventional metrology systems. The sensor, which uses a laser to track a target and generate co-ordinates for that target, was originally developed for use in medical equipment.